A double plate rack from Holland is solid oak with hand carved faces from about 1890. The finish is very well preserved and has been waxed and buffed. 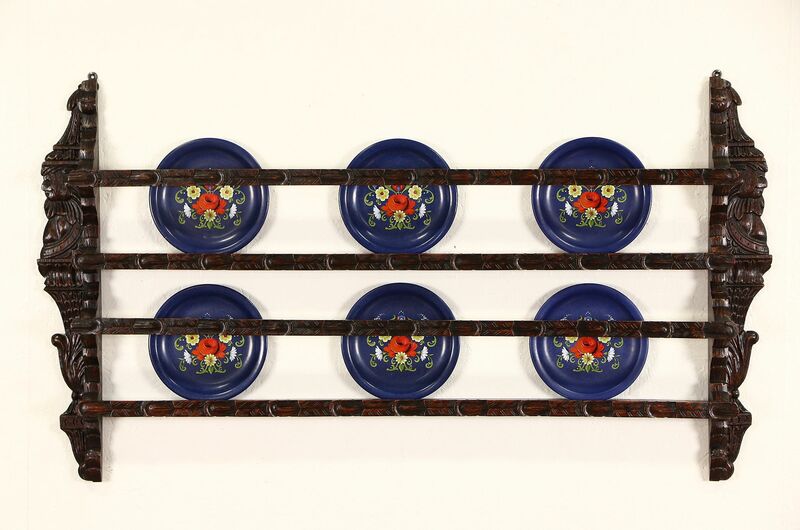 This Dutch antique fits plates up to 8 1/2" on the lower shelf and larger above. Measurements are 47" wide, 26" tall and 3 1/2" deep. See 10 photos that enlarge to full screen size. Due to the cost of shipping we recommend store pick up, it is over sized for UPS/Fed Ex.